The child care community is currently in the process of change and educators/home child care providers are continuously making efforts to create engaging environments and experiences to foster children’s learning and development. They are deeply engaged in recognizing and adapting their own personal perspectives to support children’s well-being and their sense of belonging. This entry was posted in Behaviour Guidance, Children with Special Needs, Early Learning and Care, Educators / Providers, Families, Resources on August 31, 2016 by cissnewsletter. Attention all Resource Teachers/Resource Consultants, the Early Childhood Resource Teachers Network of Ontario (ECRTNO) and Children’s Integration Support Services (CISS), a program of Andrew Fleck Child Care Services, are pleased to invite you to attend our celebratory conference Inclusion – A Cause for Celebration on November 15, 16 and 17th, 2016. The conference marks the 30th anniversary of the ECRTNO as well as the 25th anniversary of CISS. Please check out our conference program guide for the complete lineup of keynotes, workshops, the registration information and more. This entry was posted in Children with Special Needs, Early Learning and Care, Inclusion on July 19, 2016 by cissnewsletter. Educators have numerous responsibilities to the children in our care. Most importantly we are responsible for fostering their social, emotional, cognitive, and physical development. In our school age program for children aged 6 to 8, we set goals for creating new friendships between peers and fostering skills to support basic social interactions (e.g. asking to join a game already in progress). But where to start? The document How Does Learning Happen? Ontario’s Pedagogy for the Early Years stresses the importance of Registered Early Childhood Educators (RECE’s) engaging in a strong and respectful relationship with children and their families in order to foster a sense of belonging. This entry was posted in Children with Special Needs, Early Learning and Care, Educators / Providers, Families, Inclusion, Programming Ideas on April 13, 2016 by cissnewsletter. Previously published in the Spring-Summer 2006 issue of ACCESS Integration. 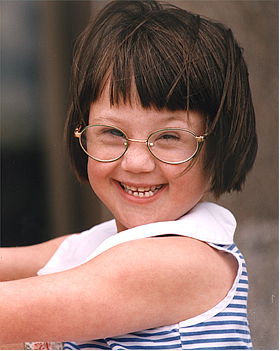 Rebecca, born on February 1st , 1990, has Down Syndrome and lives with her mother, father and older sister, Monika. Rebecca has been integrated into regular child care settings since she started day care at the age of two and a half at Dow’s Lake Day Care. It was there that support from Children’s Integration Support Services began. This entry was posted in Children with Special Needs, Early Learning and Care, Educators / Providers, Families, Inclusion, Where Are They Now on April 13, 2016 by cissnewsletter. This entry was posted in Children with Special Needs, Early Learning and Care, Educators / Providers, Families, Inclusion on January 6, 2016 by cissnewsletter.